Samantha Musa is an exciting young media personality making waves in Zimbabwe's entertainment industry. 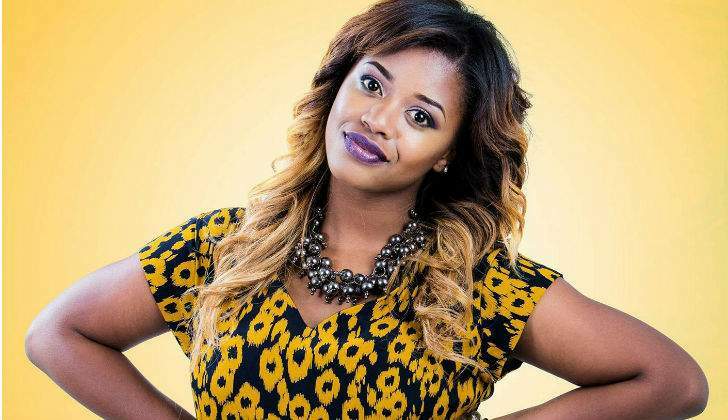 Going by the name MisRed, she has won over the hearts of Zimbabwe's listeners as a co-host on The Ignition, the daily breakfast show on ZiFM Stereo, Zimbabwe's first privately-owned commercial radio station. Her mature yet bubbly demeanour has catapulted her from being a radio personality to excelling as a much sought after television presenter, voice-over artist, social media influencer, public speaker and events host as a master of ceremonies. She has become known for her mesmerizing voice, high energy and charisma whenever she is behind a microphone, in front of a camera and quirky nature online. MisRed joined The Ignition team in October 2013 and immediately established herself as an iconic presence on the airwaves alongside her co-host Tonderai Katsande aka "TK". Since then she has been a regular feature of mainstream drive-time radio in Zimbabwe, also handling research, production, high profile interviews and has contributed to the steady rise in the show's ratings, leading The Ignition to becoming the highest rated breakfast radio show in the country. Her charisma and presence did not go unnoticed by the television media, and she has been involved as a television presenter on local television as well as a correspondent for international events such as the MTV Africa Music Awards and The Lake of Stars Festival among others, putting together interviews with celebrities like Trey Songz, Tiwa Savage, Khuli Chana, P-Square, French Montana and others. MisRed is also a coveted MC for a wide scope of events, ranging from concerts and parties to corporate events like South African Airways Travel Agency Awards , OK Grand Challenge VIP Marquee,The Land Rover Discovery Launch, Steward Bank Mastercard Launch to fashion shows like The Edgars Fashion Extravaganza just to name a few. MisRed is very active on social media with a large followership, sharing her exciting lifestyle and personal moments with a following via Twitter (20k), Instagram(21k) and Facebook (12k). The trust in the strength of her image has led to several brands having partnered up with her on different projects like Coca-Cola, Black Opal, Netone, Chic Street, Make-Up By Gamu to name a few. She has graced the cover of several lifestyle magazines, including DIVAS Inc, Induna and Kwantutu and her consistency led to her being named a Zimbabwe Fashion Week Style Icon Nominee. Whether she is on radio, television or hosting events, MisRed always displays a passion for enriching and enhancing the arts and fashion on the African continent. She has also taken a personal interest in helping young girls to empower themselves, often involved in motivational talks and charitable endeavours to champion their cause.